Mr. Jones is a founding partner and managing director of Huddles Jones Sorteberg & Dachille, P.C. 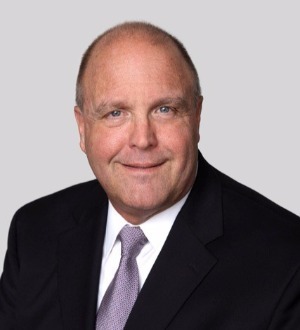 He has practiced construction and government contract law for over 25 years and represents a large number of clients in the Washington, Baltimore metropolitan areas as well as other regions of the country. During his career, Mr. Jones has developed a reputation as being both tenacious and reasonable. Mr. Jones has extensive experience in construction claims both internationally and in the United States. He has litigated numerous construction cases before State and Federal Courts, Government Administrative Appeal Boards, and Arbitration Tribunals. This includes appellate practice before the Virginia Supreme Court and the U.S. Court of Appeals for the Fourth and Eleventh Circuits. Mr. Jones’ background includes a Bachelor of Science in Architecture degree from The Catholic University of America in 1982, and a J.D. degree from Washington University in 1985. His studies in Architecture included a year of specialized concentration involving post-graduate courses in construction management. With this background, he has a keen ability to understand and comprehend all aspects of construction and CPM scheduling. This enables Mr. Jones to work well with consultants, who respect his style and simplified manner for presenting technical construction information. Mr. Jones' career has involved cases relating to prestigious construction projects that include: The US Capitol Visitor’s Center, The US Supreme Court Renovation, The Library of Congress Renovation, The New GSA ATF Headquarters Building, The National Zoo, The National Academy of Sciences Renovation, The Museum of Natural History Renovation, The Johns Hopkins New Medical Center, The Bay View Medical Center, The VA Orlando Medical Center, Grady Memorial Hospital in Atlanta, GA., The Miami Performing Arts Center, Disney’s Boardwalk Resort, The Universal Islands of Adventure, The Charlotte Arena, The World Bank, The International Monetary Fund, Arlington Cemetery, The US Pentagon Renovation, Kings Bay Naval Submarine Base, Andrews Air Force Base, Fort Belvoir, Fort Meyers, Fort Meade, Fort Bragg, Fort Knox, Dulles Airport, BWI Thurgood Marshall Airport, DC Regan National Airport, and numerous Universities, Schools, Research Facilities, Office Buildings, Condominium Buildings, Hotels and Resorts.